Disorganized Finnish tribes lived in the area longer than written sources remember. Sweden carried out the Christianization of Finland and in the 14th century incorporated the lands into its kingdom. Swedish language became the language of the elite. 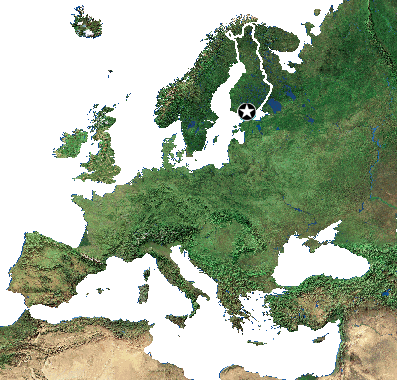 The area was later targeted by Russia, which eventually in 1809 after winning the war against Sweden took over Finland and established the autonomous Grand Duchy of Finland. During this period, there was a return to the roots and development of the Finnish language, which in 1892 was leveled by status to the Swedish. Using the chaos of the October Revolution in Russia, Finland declared independence on November 15, 1917. As a result of World War II the Finnish territory has been reduced by the Soviet Union, but Finland has not become a satellite of Moscow. In 1995, Finland joined the European Union, and in 2002 adopted physically the euro currency.